A few days ago we received a call from a customer in the field of design, who sent open Adobe InDesign data in ISOCoatedV2 300% with contained RGB images to the production company for a complex CD production on the advice of the producing company (“The printing company still has a prepress stage, which can then prepare your data optimally…”). The result of the finished printed CD booklets and inlays did not correspond at all to the calibrated monitor image of our customer, the client was also unhappy and requested the print data about the production company from the print shop responsible for the print to troubleshoot. Data in the “US Web Coated” color space with 350% ink coverage came back from the printer. For troubleshooting, the customer then had a proof of his data created by us, but had chosen the settings “Convert to target profile (retain values)” as usual when writing the proof PDF; we thus received completely CMYK data, of which we produced a proof according to ISOCoatedV2 300%, which completely met our customer’s expectations. So it seems that the designer created the data correctly and printed the print shop incorrectly. On the one hand, the obviously wrong profile conversion of the print shop with InDesign CS2 to “US Web Coated”, a completely outdated profile never used in Europe, which was delivered with early Creative Suite versions and was probably never adapted due to a lack of competence on the part of the print shop. On the other hand, the open InDesign file of our customer, which he had sent to the production company, contained RGB images without a profile (DeviceRGB), which cannot be safely interpreted. In this case, a complaint of the designer to the printing company will of course be difficult, as on the one hand, non-profiled RGB data were sent to the production company, and on the other hand, no print PDF generated by the data creator in the correct output color space ISOCoatedV2 300% was supplied. If this had been done, one could at least have argued that the expected color of the production print would have been comprehensively known. Thus, one can only refer to the fact that the printer would have had to ask the designer for RGB data without an embedded color profile, and should not have assigned the data somehow to a profile “blindly”. The fact that the print shop with its crude US Web Coated workflow certainly did not create a correct print file, but a wrong one for the output, can indeed be stated, but the print shop can always talk its way out to “systems with in-house standard”. How do we deal with RGB data at Proof.de? 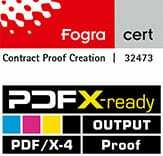 If we receive a PDF file that contains RGB images, the next step is to check if the file is a valid PDF/X-3 or PDF/X-4. If this is the case, we check whether all input RGB profiles are correctly marked with color space (sRGB / AdobeRGB / ECI-RGB-V2 etc.) and rendering intent, then we check whether the correct output color space was used as output intent and whether also contained CMYK data have the correct input profiles. If yes, then we proof the file with the settings: “Consider all input and output color spaces”. In this case, the file is reproduced 100% exactly as our customer created and defined the color profiles. If he has made a mistake and e.g. marked an image with a wrong RGB profile, this will also be “incorrectly proofed” exactly as correctly. “Dear customer, the data check has shown that RGB elements are contained in your data. RGB elements can only be safely interpreted in the proof if they are marked with a color profile and a rendering intent. This is the case, for example, with correct PDF/X-3 and PDF/X-4 data. The correct output intent must also be specified. At least one of these criteria does not seem to be the case for your file. 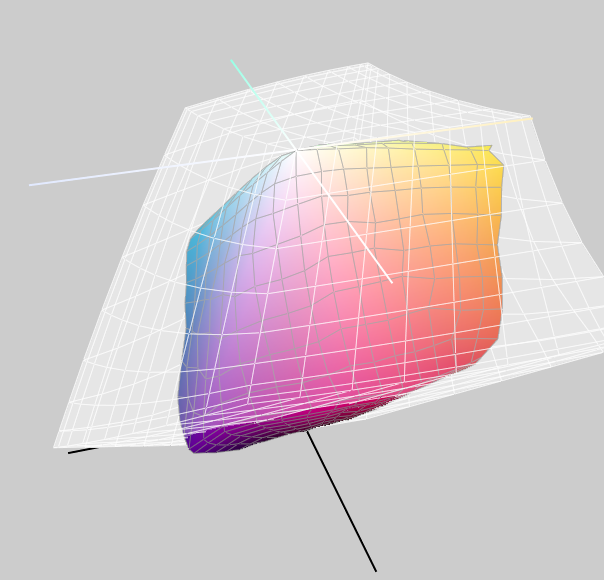 The safest way would be to convert the contained RGB data to CMYK. This has the advantage that you have control over the conversion and can view the CMYK result again in Acrobat before uploading the file again for proofing. We can then reliably use your CMYK values for the proof. To do this, call up the current order in your customer account, delete the incorrect data and upload the corrected data. 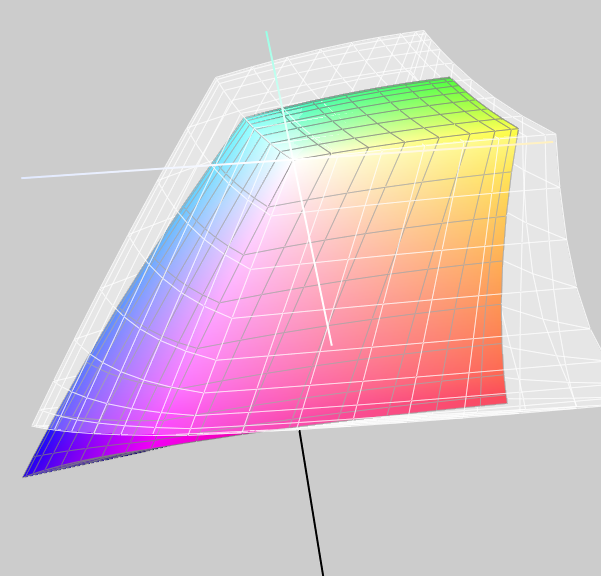 If, for example, the RGB element should only be a small image that is not relevant for the overall impression of the proof, or if you do not have another file available for the proof, then of course we can also use your RGB data for the proof. If available, we use your RGB source profiles and rendering intents, otherwise we use the sRGB standard and the rendering intent “relatively colorimetric with depth compensation”, which in most cases will lead to correct proof results. If you would like us to proof the supplied RGB data in this way, please let us know. Please do not hesitate to contact us if you have any questions. Best regards, your proofing team”. In our case, the CD production case would also not have occurred in the proof, as we reject RGB data not provided with an ICC profile with the error message mentioned above, and do not convert them, as we cannot predict precisely how our customer would have liked the data to be converted. We are aware that our approach is not 100% the ultimate best approach in all cases, but to the best of our knowledge and belief it is best in line with market practice and the expectations of our customers. However, we are also happy to accept your individual requirements and circumstances. Give us a call or send us an email and describe your processing requirements. By the way: We are happy to put our knowledge and data competence at your service: If you also have a problem, a question about print data, data preparation, or – as in the above example – a misprint has already occurred and you need external expertise and assistance for the complaint: Give us a call. We will be happy to advise you and help you where we can help. We will charge you for our advice and analysis at an hourly rate of EUR 90,- plus VAT, and you will be billed for 15 minutes each. An initial consultation and assessment is of course free of charge. Which RGB working colour space is suitable for colour-consistent work? In the early days of color spaces Apple and e.g. 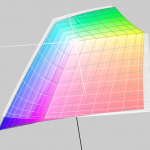 Photoshop up to version 5.5 set the monitor color space as working color space by default. But it soon became clear that a design office would be working with 10 Macs in 10 different color spaces. A neutral concept was needed. 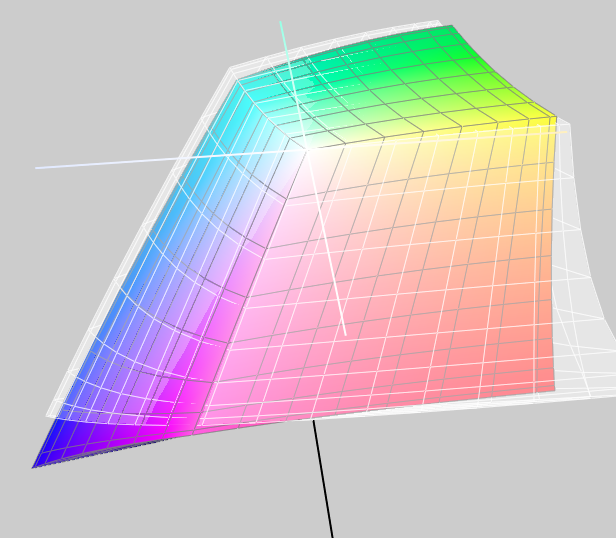 There are many RGB Colour Spaces around. In the area of print media there are currently primarily three different variants: sRGB, AdobeRGB(1998) and eciRGB_V2. The sRGB color space is widely used in digital cameras and is the industry leader in the consumer segment. Problem for printing: sRGB is a relatively small color space, and does not cover the color possibilities of modern offset printing systems and digital printers. Since offset printing profiles such as ISOCoated_v2 have a much larger color space, it makes little sense to perform retouching in sRGB. It covers the colors of all modern printing color spaces (offset, gravure, web offset, newspaper), but is not much larger and therefore does not give away any resolution. Between 0/0/0 and 50/50/50 there is roughly the same distance as between 50/50/50 and 100/100/100. The white is 5000 Kelvin and the gamma is 1.8 Kelvin. 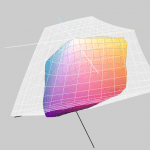 The eciRGB_v2 color space can be downloaded free of charge from the pages of the European Color Initiative (ECI). The AdobeRGB 1998 color space, which has been widely used by Adobe since Photoshop 5.5 and today in all parts of the Adobe product range, is also well suited for the printing sector, but works with a gamma of 2.2 and is designed for degrees of whiteness from D50 to D65. All common print color spaces can also be well mapped in AdobeRGB 1998. 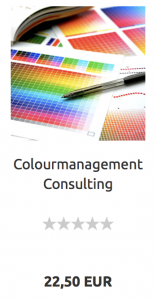 You can find Adobe documentation on this color space here.